Waddington, Wm. M 35 Washington Co. Allen Aug 26, 1871 Webster PA X 106439515 On 9/5/1861 he mustered into "M" Co.
(No further record); widow Anna A.
Wagoner, Isaac W. F 26 dark 5' 8" black black laborer Lawrence Co.; Hickory Twp. PA Penna. July 20, 1864 Petersburg VA not found widow Margaret S. Lewis based on 1890 vet cens. ; per ACWRD, killed at Petersburg, VA July 20, 1864; son of John B. Wagoner. Wagoner, Wm. S. F 18 laborer March 4, 1864 Rosepoint PA X not found Per ACWRD, buried in Portersville UP Cemetery, Butler Co. PA; on steamer West Point, Aug 13, 1862. Wait, Alfred D 28 dark 5' 8" dark brown puddler Pittsburgh, Pa. not found On 10/8/1862 he mustered into "D" Co.
Walker, Samuel H. E 22 dark 5' 7" grey dark carpenter Feb 2, 1865 Florence SC not found Per ACWRD, POW at Cold Harbor June 2, 1864, prison at Florence, SC; nearly lost life in great oil fire near Oil City, PA in 1859. Wallace, James P. G 27 Jan 2, 1862 Beaufort SC not found On 8/31/1861 he mustered into "G" Co.
(Mid initial C or P) died of fever. Wallace, John O. F 26 dark 5' 8 1/4" brown black plaster Penna. Feb 5, 1838 22-Mar-1922 Kansas City MO X 38855477 Per ACWRD, injured at Cold Harbor, VA June 15, 1864--sunstroke. (estimated day); birth info; buried in Olathe, KS per findagrave.com info. ; middle name Oliver. Wallace, William K 23 not found On 10/14/1861 he mustered into "K" Co.
Walters, Isaac M 21 not found On 9/5/1861 he mustered into "M" Co.
Waltman, Benj. F 25 not found Per ACWRD, 1865 substitute, POW at Fort Stedman, 3-25-1865. Walton, John E. C 19 carpenter Burleigh Co., Bismark ND May 28, 1842 23-Feb-1906 Blount Co. TN X 54206951 Gunshot wound leg; wounded at Bull Run, VA, 8-29-1862, transferred to Vet Res Corps; ACWRD also lists birth and death date/location info; also lived in Trundles Cross Roads, TN after the war; findagrave info matches ACWRD info. Walton, Milton F 18 dark 5' 51/2" blue dark laborer X Lawrence Co. PA 1845 April 19, 1882 Mercer Co. PA not found Per ACWRD, buried in Center UP Cemetery, Lawrence Co. PA; wife Margaret Aiken--3 children. Wanders, Jacob K 24 Helixville, Bradford Co. PA Jan 20, 1840 18-Mar-1904 Cambria Co. PA X X 95956079 other grave photo On 6/4/1864 he was drafted into "K" Co.
Ward, Daniel B 26 Wayne Twp, Lawrence Co., PA May 6, 1842 30-Jan-1902 Butler PA Not found ACWRD lists as "Donald", (Not on M.O. roll Bates), wounded at 2nd Bull Run. Warne, Charles M 22 August 13, 1862 Potomac River--Drowned VA not found On 9/5/1861 he mustered into "M" Co.
Warnock, Wm.G. H 39 17-Dec-1902 not found No information found on listing of William G. Warnock in ACWRD. Watson, Robert W. H 43 not found On 8/31/1861 he mustered into "H" Co.
Watson, Thomas H 24 Oil Development X McKean Co, Foster PA 1938 13-Nov-1914 McKean Co. PA X X 110833147 On 8/31/1861 he mustered into "H" Co.
(Forage master for 9th Corps); Other Information: died 11/14/1914; Lawrence Co., PA; After the War he lived in Bradford, PA; Buried in Oak Hill/Bradford Cemetery; Findagrave info is possible match but no service info on gravestone. More research needed to confirm. Watson, Winans C 18 fair 5' 8 5/8" grey lt. brown student Penna. Oct 2, 1864 Poplar Springs Church VA not found This soldier and soldier below are SAME; soldier enlisted in 1861 and transferred to Vet Res Corps in 1864; re-enlisted in 1864 and was killed. 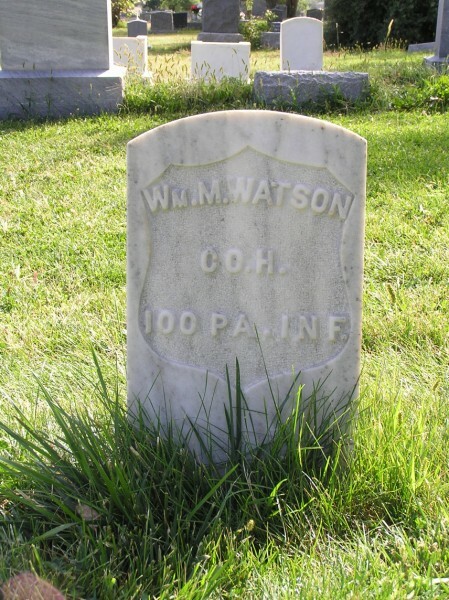 Watson, Winans C 20 Oct 2, 1864 Poplar Springs Church VA not found This soldier and soldier below are SAME; soldier enlisted in 1861 and transferred to Vet Res Corps in 1864; re-enlisted Sept. 10,1864 and was killed three weeks later. Watson, Wm. M. H 21 Lawrence Co. PA March 1842 July 12, 1915 New Castle (Trinidad?) PA/CO? X 38520681 On 8/31/1861 he mustered into "H" Co. He was discharged on 12/27/1862; He was listed as: * Wounded 9/1/1862 Chantilly, VA; Conflicting death dates--findagrave.com has death December 15, 1915; buried in Colorado. Watson, Wm. W. F 28 Clearfield, PA March 30, 1836 16-Nov-1907 not found Per ACWRD, birth info and 1865 draftee. Weaber, Adam C 35 11-Apr-1909 not found 1865 Draftee, death date per ACWRD. Weakley, James H. E 42 dark 5' 5" grey dark Toeman Mercer Co, Grove City PA Penna. Aug 12 1864 Cypress Hill Cem (Long Island) NY not found Per ACWRD, middle name "Harvey", died in hospital. Webb, Joseph D 40 blacksmith not found No other information found. 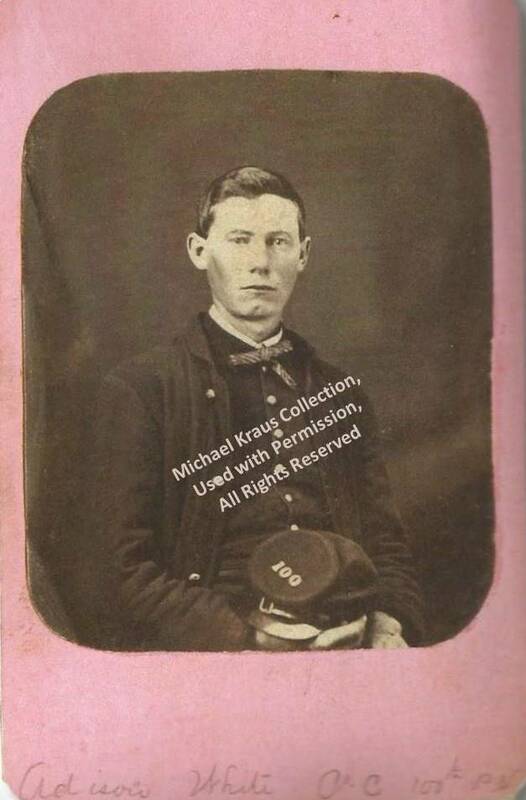 Weber, John C 31 dark 5' 9" hazel dark laborer Germany not found 1864 Recruit; no other information found per ACWRD. Weiler, James H 19 1846? 3-May-1901 Ashland Co? OH? X 50362193 Per ACWRD, On 3/8/1865 he mustered as a substitute into "H" Co. He was Mustered Out on 7/24/1865; Other Information: died 5/3/1901; findagrave info for Jacob W. Weiler died 5/1/1901 and born 1846 is consistent with age 19 at enlistment for James Weiler--may be same individual but more research is needed. Weirich, John L. A 17 farmer Washington, Pa. not found Per ACWRD, soldier died, date unkown. Welsh, Calvin B. F 19 farmer Venango Co., Oil City PA March 11, 1848 1-Nov-1904 Oil City PA not found Per ACWRD, birth and death info; also on steamer "West Point" when it sank in the Potomac River Aug 13, 1862. Welsh, Phillip C. D 18 dark 5' 9" brown dark farmer Pa. 14-Apr-1907 Lawrence KS X 29945741 1864 Recruit; Bates information and Pension Card death date and death location match findagrave info. 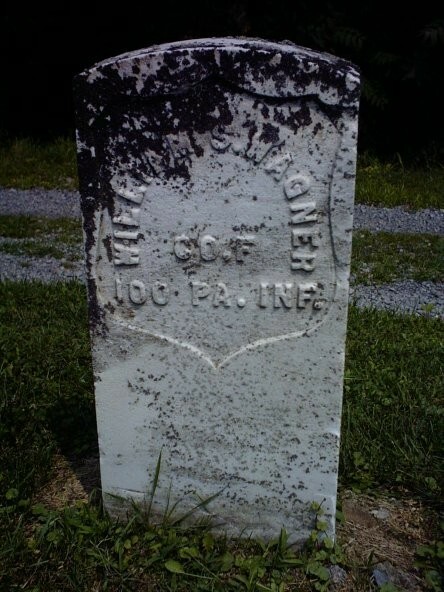 Strange that head stone reads 100th PA Cav! West, Harry D 18 merchant 16-Jun-1907 not found On 8/28/1861 he mustered into "D" Co.
West, James D 23 clerk not found On 8/28/1861 he mustered into "D" Co.
West, John M 21 Coal Miner Washington Co. Nottingham Twp. 1840 24-May-1903 Monongahela PA X 14438963 On 9/5/1861 he mustered into "M" Co.
Westlake, Henry G 19 Mercer Co., Worth Millbrook, PA Feb 24, 1841 25-Aug-1923 Jackson Center PA X 74298569 On 8/31/1861 he mustered into "G" Co.
After the War he lived in Jackson Center, PA; Reverend after the war. Weyman, Ernest C 23 fair 5' 2 1/2" grey auburn shoemaker Germany Sept 8, 1837 19-Jun-1917 Zelienople PA 68031290 Per ACWRD, escaped Danville Prison (date not stated--recaptured); POW Petersburg, VA 7-30-1864; paroled 2-21-1865, place not stated. Wheeler, James G 38 Mercer Co., Worth Mercer Co. PA July 12, 1824 not found On 8/31/1861 he mustered into "G" Co.
Wherry, John A 25 fair 6' 1" grey brown farmer Washington, Pa. Pa. Sept. 30, 1864 Poplar Spring Church VA not found On 8/27/1862 he mustered into "A" Co.
Whetstone, George H 18 June 16, 1862 James Island SC not found On 8/31/1861 he mustered into "H" Co.
Whetstone, John H 18 Lawrence Co., Wilmington 14-Mar-20 Jeanette PA not found On 1/5/1864 he mustered into "H" Co.
White, Addison S. C 21 farmer not found Mentioned in Phineas Bird 1863 Diary, October 3, 1863; had likeness taken that day with Corp. Bird. On 8/31/1861 he mustered into "C" Co.
ACWRD has no other records available. White, John C. M 35 not found On 9/5/1861 he mustered into "M" Co.
White, Joseph R. K 19 6-Aug-1914 New Castle PA not found On 2/28/1864 he mustered into "K" Co.
White, William H. D 20 farmer June 4, 1862 James Island SC not found "Harrison"; per ACWRD, he was killed while helping comrade Samuel S. McClure, who was shot in the foot at the time of being taken prisoner. Whiting, Horatio H 28 not found On 8/31/1861 he mustered into "H" Co.
Wick, Alfred N. C 19 merchant not found No information found in ACWRD. Wier, Thomas C 20 dark 5' 6 1/2" brown brown farmer Beaver Co., pA Oct 24, 1843 2-Apr-1929 Tarkio MO not found Per ACWRD, birthdate and location. Wigle, William F 29 dark 5' 7 1/2" blue brown black smith Penna. 21-Oct-1914 Ellwood City PA not found Per ACWRD, 1864 recruit. Wilgus, L. D. A 19 rail-roader Pittsburg, Pa. 28-Jan-1934 Sacramento CA not found "Lorenzo"
Willets, Joseph B 19 28-Jul-1913 Trout Run PA Not found 1865 Substitute. Willhelm, John W. C 25 Elk Co., Benezett PA 15-Dec-1902 not found No other info per ACWRD. Williams, George K 40 not found On 8/31/1861 he mustered into "K" Co.
Williams, John C. C 18 McIntosh ND March 25 1843 Aug 30, 1898 Ashley ND X 20342996 On 8/31/1861 he mustered into "C" Co.
Williams, Samuel K 19 25-May-1901 Lawrence Co. PA X On 2/27/1864 he mustered into "K" Co.
Williams, Thomas M 25 june 16, 1862 james island SC On 9/5/1861 he mustered into "M" Co.
Williamson, John G 20 1862 not found On 8/31/1861 he mustered into "G" Co.
Williamson, L.B. I 21 April 20, 1865 Fairfax Seminary VA X 3257601 On 8/31/1861 he mustered into "G" Co.
Wilson, Alvin S. D 19 light 5' 4 1/2" grey red farmer Penna. May 22, 1849 3-Jun-1905 Clayton NM X 16508888 Hit by train in stockyard-dead; per ACWRD, wounded at Fort Stedman, March 25, 1865. 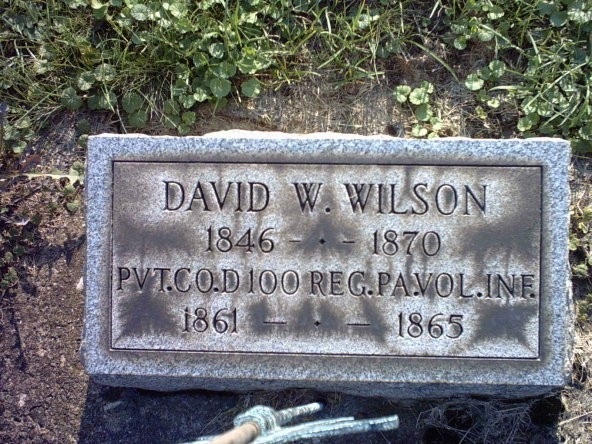 Wilson, Milo C 18 dark 5' 10" blue brown laborer Lawrence Co., Pa. March 25, 1870 Ellwood City PA 16056359 1864 Recruit; no other information found per ACWRD. Wilson, Robert D 21 farmer 14-Sep-1905 Lima OH not found Deathdate and location per ACWRD. 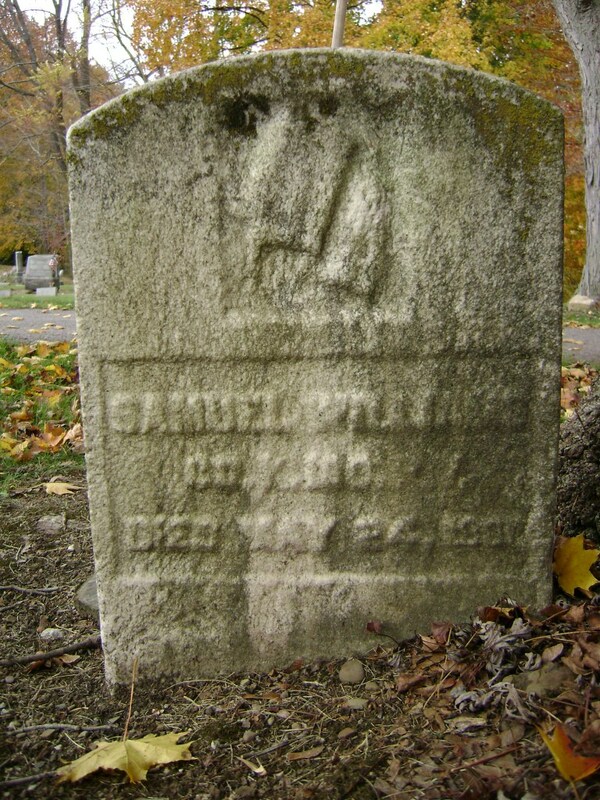 Wilson, Samuel B. B 18 May 12, 1864 Spottsylvania CH VA 12774504 Killed 5-12-64 at Spottsylvania, Va.
Wimer, Henry E 35 dark 6' 0" brown dark Toeman Lawrence Co. Scott Twp. PA Ohio Sept 3, 1830 18-Sep-1913 Butler PA not found X malarial poison per 1890 census info; per ACWRD, wounded at Bull Run 8-29-1862, after war lived in New Castle. Wimer, Jackson A 35 Sept 24, 1864 Andersonville GA X 51146351 ACWRD lists Pvt. Wimer as POW at Wilderness 5-5-1864. Died of starvation. Wingard, John M. B 28 dark 5' 8 1/2" hazel dark farmer Mercer Co., Pa. Penna. Aug 20, 1837 16-Feb-1911 Mercer Co. Not found Per ACWRD, birth and death info--buried in Amsterdam Cem, Liberty Twp. Wingert, William C 22 Clearfield Co., Brady PA 7-Mar-1925 Luthersburg PA X 51486307 Likely match on findagrave based on Pension Card and ACWRD info. Winner, William C. C 18 dark 5' 5 1/2" brown dark farmer Lawrence Co., Pa. not found 1864 Recruit; no other information found per ACWRD. Witherite, Shannon D 31 10-Sep-1914 Kerrmoor PA not found 1865 Draftee. Witherow, Sam'l L. F 18 laborer August 13, 1862 Potomac River--Drowned VA not found Per ACWRD, drowned on steamer "West Point" Aug 13, 1862 in the Potomac River. Wixson, Alfred C 19 not found 1864 Recruit; no other information found per ACWRD. Womer, Isaac B 26 laborer New Wilmington, Pa. New Wilmington PA Not found 1865 Recruit, no other information found. Womer, Jacob D. B 18 fair 5' 4" grey dark farmer Crawford Co., Pa. Germany Dec 12, 1840 8-Mar-1948 Los Angeles CA Not found Per ACWRD, birth and death info, after war, stayed in regular army, retired in 1888 with rank of major. May have been born in 1848 per statement in 61st reunion article that he was 89 years old in 1937. One of last survivors of the Roundheads. Wonder, John A 30 Bedford Co., Schnellsburg PA Dec 29, 1828 Feb 26, 1897 Helixville, Bedford Co. PA X 19310326 findagrave death date and location matches pension card record and 1890 census (Bedford Co.) for soldier--confident same individual. Wonderlain, Morris F 40 Not found Per ACWRD, 1865 substitute, mustered out with regiment; no other info. Wood, Henry C. E 21 Harlansburg, PA Nov 27, 1842 May 8, 1864 Wilderness VA not found killed per Oct. 15, 1884 reunion photo. 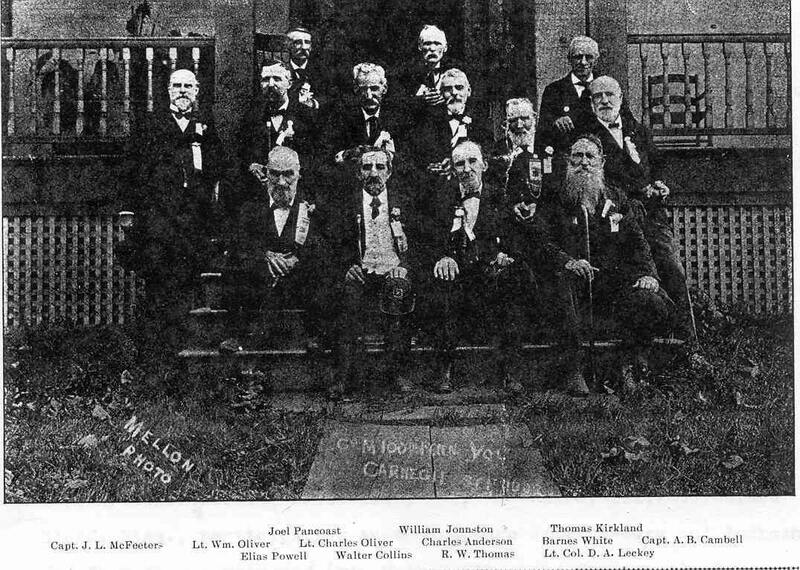 killed per Oct. 15, 1884 reunion photo. Wood, James S. E 19 light 5' 5 1/2" blue light farmer Unknown Andersonville GA not found Captured, died in Andersonville prison; catured, POW at Cold Harbor, June 2, 1864. Wood, Samuel R. E 17 Harlansburg, PA Feb 7, 1844 Aug 17 1863 Cincinnnati (National Cem) OH X 21753284 per ACWRD, died of disease. Worthy, William B 19 X Not found Deserted 3-23-65 near Petersburg, Va.
Wray, Henry M 19 Oct 13, 1844 9-Feb-1929 W. Elizabeth PA 62250637 On 3/21/1865 he mustered into "M" Co.
Wright, Samuel S. C 20 sandy 5' 8" blue sandy farmer Penna. 1846 17-Feb-1917 Mukilteo WA X 13640489 No other information found in ACWRD. Wright, William C 20 light 5' 9" blue brown teacher Lawrence Co., Pa. 1844 Dec 18 1864 Lawrence Co PA X 18528252 Per ACWRD, severely wounded at Cold Harbor, VA June 3, 1864, left arm amputated. Wyland, John H. G 20 Feb 2, 1843 23-Aug-1901 Columbus OH 73758658 On 2/29/1864 he mustered into "G" Co.
Wylie, Henry D 24 dark 5' 10" grey brown farmer Beaver Co. Beaver Falls PA Lawrence Co., Pa. April 6, 1840 22-Jan-1900 New Galilee PA 43413440 Per ACWRD, On 9/13/1861 he mustered into "D" Co.; He was Mustered Out on 7/24/1865; findagrave listing shown is possible--more research needed. Wymer, William C. H 18 Perry Twp, Lawrence Co. PA July 11, 1847 31-Dec-1917 Perry Twp, Lawrence Co. PA 111486460 On 2/26/1864 he mustered into "H" Co. He was living in Perry Township, Lawrence county, PA; findagrave info shows death year of 1918.